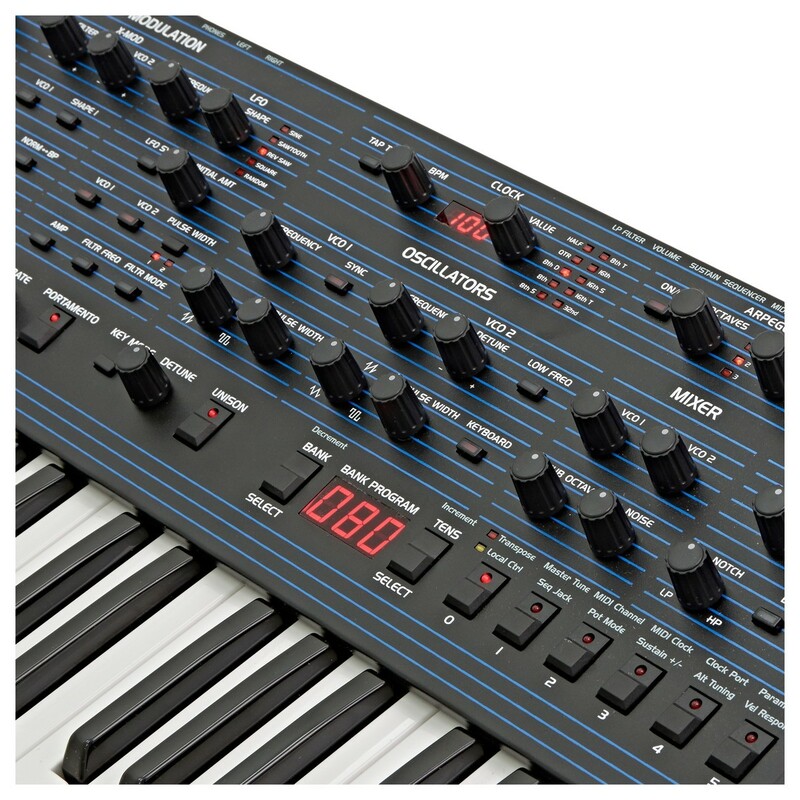 The Oberheim & Dave Smith Instruments OB-6 6-Voice Analog Synthesizer is a 49-key analog polysynth featuring 2 oscillators and a 64-step polyphonic step sequencer. 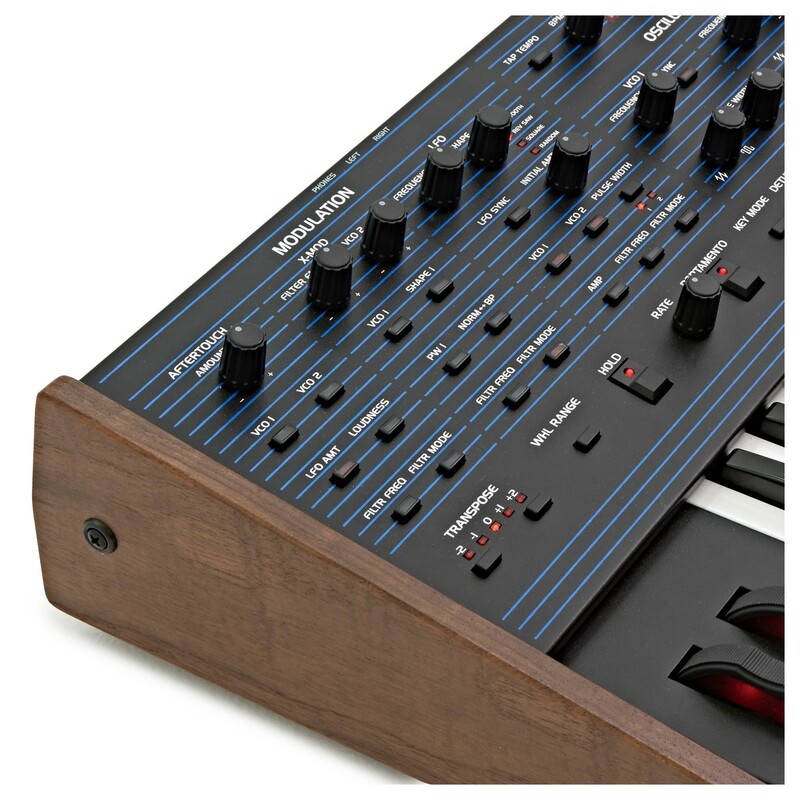 This unique analog synthesizer is a collaboration by two of the most influential poly synth designers in the world, Tom Oberheim and Dave Smith. 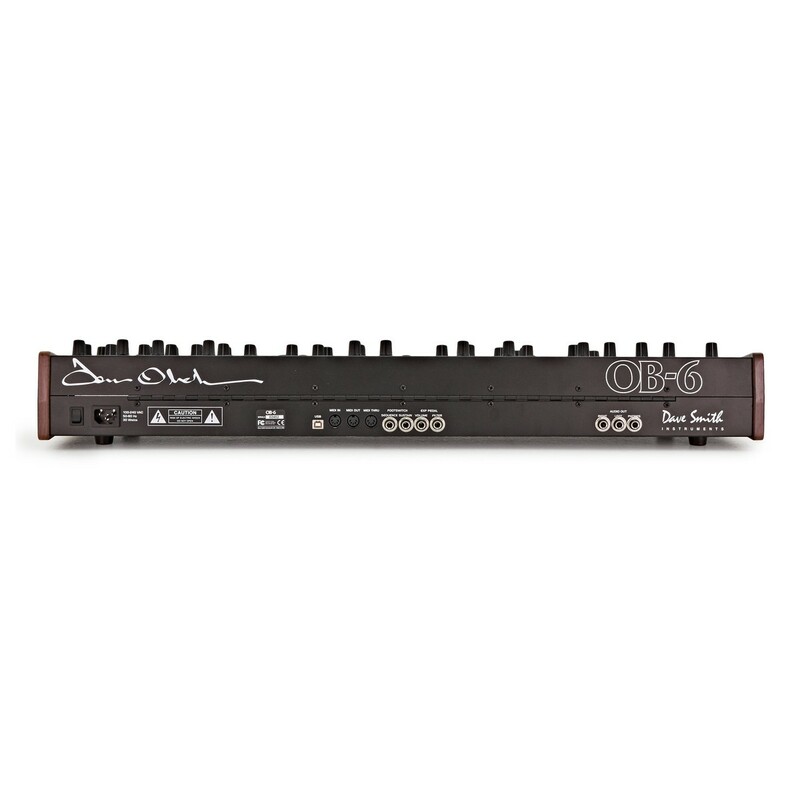 The OB-6 provides the perfect balance between Oberheims signature sound and modern innovations. 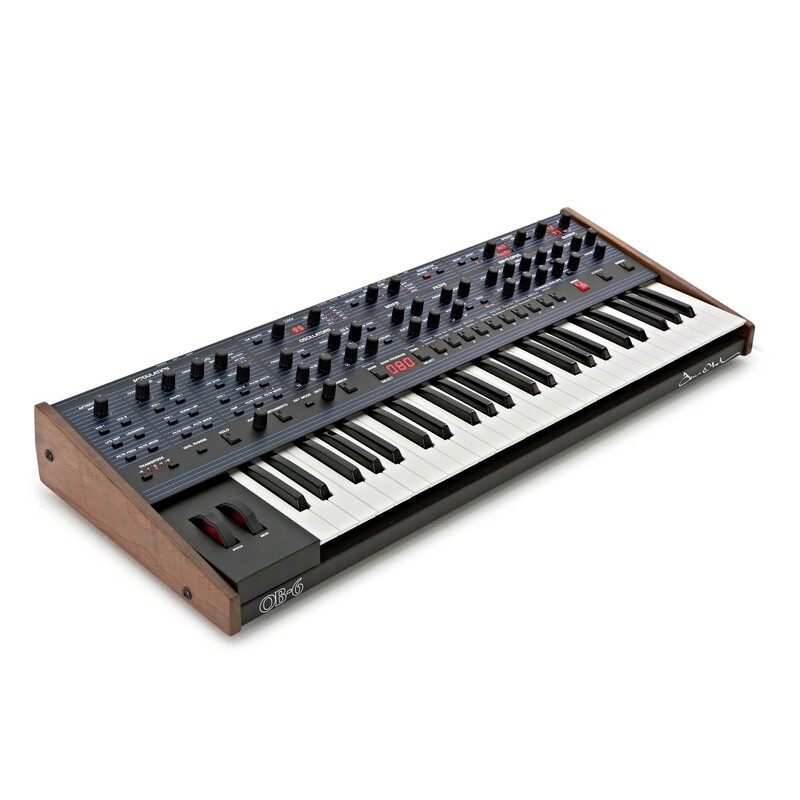 The OB-6 is the result of two of the greatest minds in synthesizer design coming together. 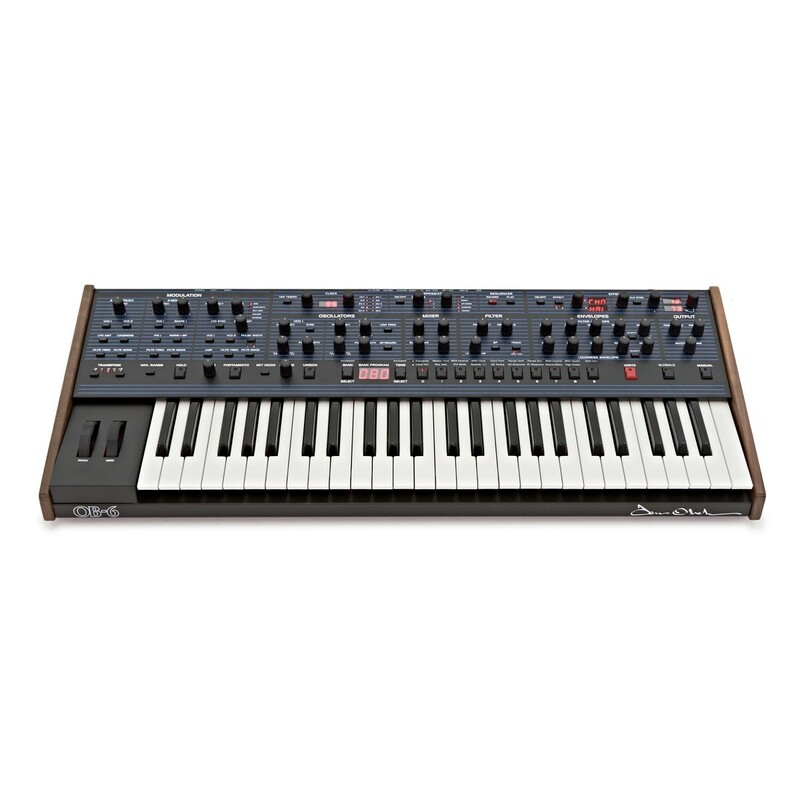 Dave Smith and Tom Oberheim are revered for their innovative and influential poly synth designs, with each bringing their own unique qualities to the OB-6's design. 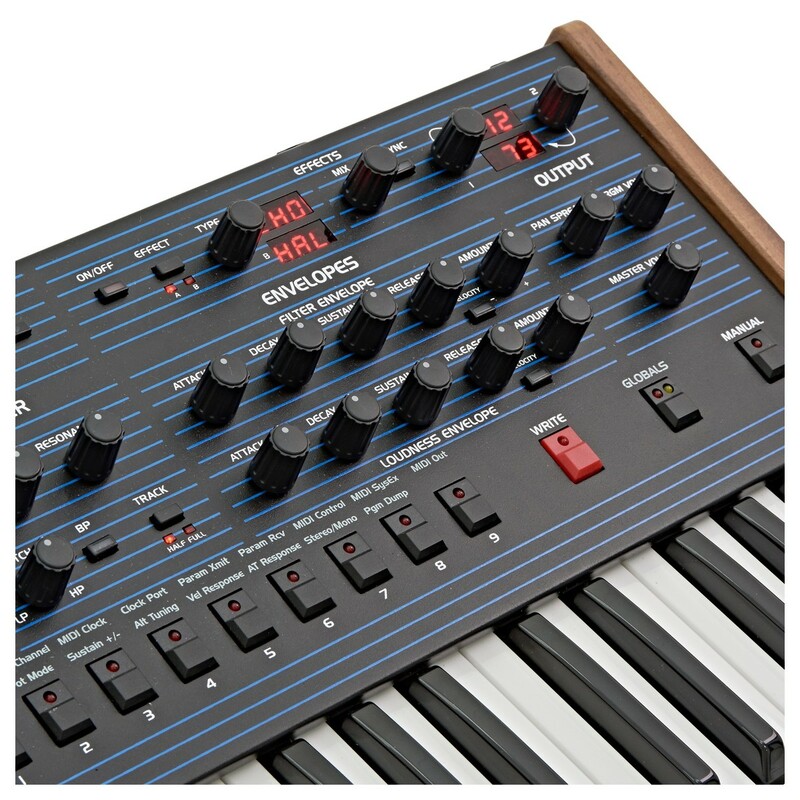 The OB-6 combines the bold, signature sound of Oberheim with Dave Smith's modern innovations, resulting in a poly synth that provides the best of vintage synthesizers and modern technology. The synth itself features a 49-keybed with 2 oscillators and a 64-step polyphonic step sequencer. 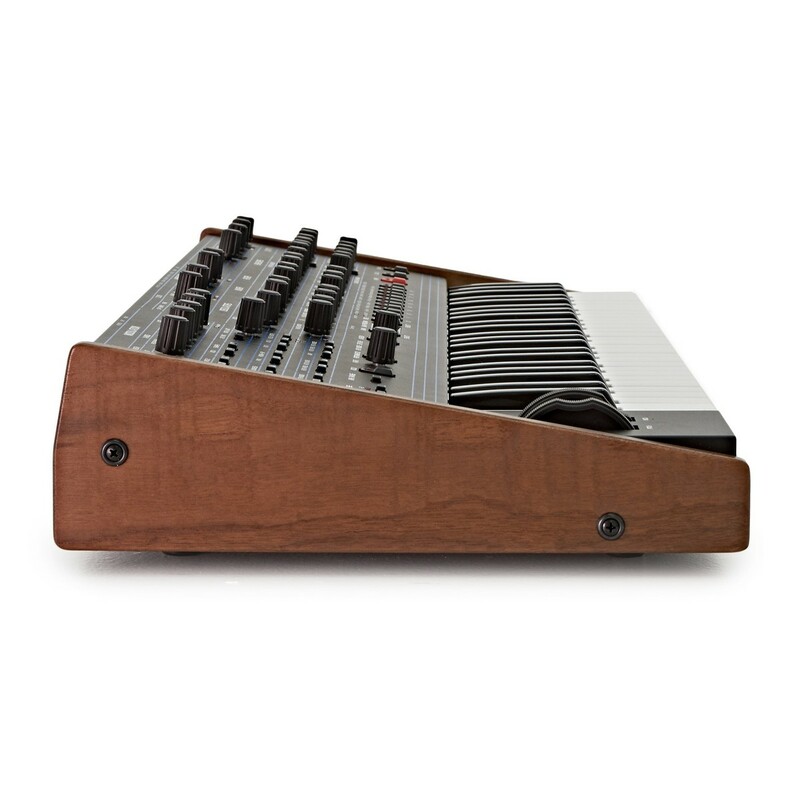 The sound engine in the OB-6 was developed and inspired by Tom Oberheim's original SEM, which served as the keystone of his 4-note and 8-note synths. The sound engine features two discrete voltage-controlled oscillators (and sub-oscillator) per voice, plus continuously variable waveshapes. The 2-pole, state-variable resonant filter provides a range of parameters including low-pass, high-pass, notch and band-pass functionality. The OB-6 is also designed for straight-forward simplicity, resulting in a seamless user experience that is easy to program and play. The front panel features a knob for pretty much every function available, including both the 500 factory programs and 500 rewritable user programs. 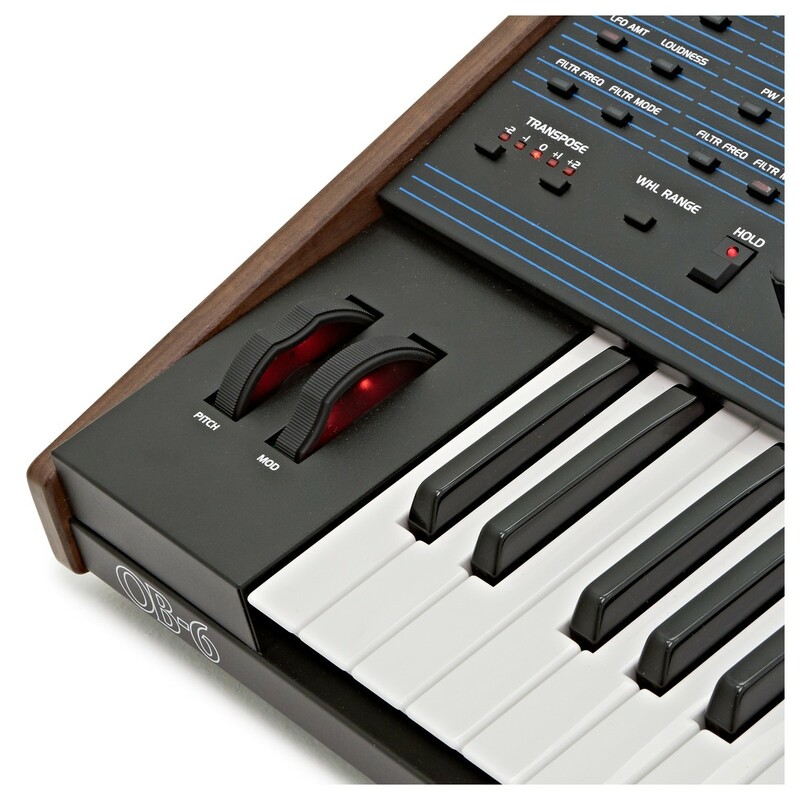 The manual button enables live panel mode, where the sound of the OB-6 switches to its current front panel settings, giving you a visual representation of what you hear. 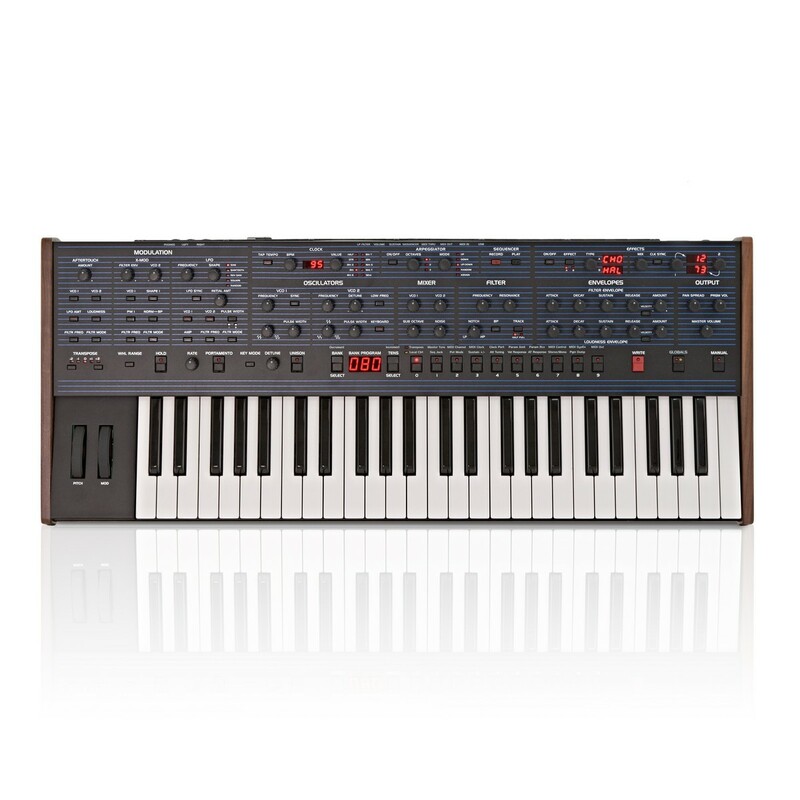 The semi-weighted, four-octave keyboard featuring velocity and channel aftertouch for added expression and dynamic changes. The X-Mod function (Crossmodulation) allows you to modulate the frequency of two oscillators, expanding your tonal palette and creating the means to build unconventional and unique sounds. The modulation sources are the filter envelope and oscillator 2, with both featuring bio-polar controls. You can then choose from a range of destination including Oscillator 1 freq, Oscillator 1 pulse width, filter cutoff, shape and more. In addition to the crossmodulation, the OB-6 features a polyphonic step sequencer which supports up to 64 steps and up to 6 notes per step. This versatile sequencer allows you to arrange and create sequences and synth to an external MIDI clock. The unison mode in the sequencer features a configurable voice count, key modes and chord memory.